Mr Evert Smith is Consultant and Honorary Senior Clinical Lecturer, University of Bristol. As a Harvard Fellow, he specialises in hip and knee operations with expertise in revision and complex hip surgery. He is committed to improving patient experience and outcomes by introducing innovative surgical techniques through his research and hip prosthesis design and development. A key aspect of his work is the scrutiny and evaluation of different acetabular bearing surfaces and from this he developed the unique 15-degree face-changing acetabular cup for young, active patients. Evert Smith is a member of the Orthopaedic Data Evaluation Panel and advises at national level on acceptable hip prostheses. He also performs two roles for the National Joint Registry. Since taking over the lead for the Bristol Hip Arthroplasty Course more than 10 years ago, it has developed and flourished into an internationally recognised, 2-day scientific meeting. Evert Smith’s reputation and international profile includes affiliations in Europe and the USA. 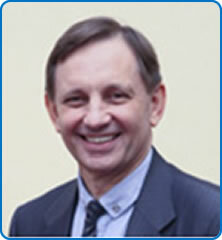 He is UK Representative for the European Hip Society (EHS) and EHS Scientific Committee member. Due to his extensive knowledge of metal on metal joint bearings, he and his American and European collaborators are joint recipients of a prestigious research grant from the US Food and Drug Administration.